Should my video be in HD? 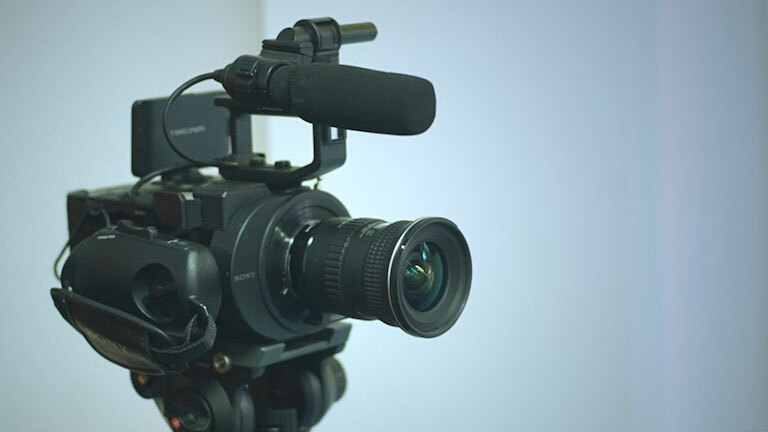 Video production can be a confusing process filled with many complicated technological terms. We’re sometimes asked whether we shoot in HD, and on occasion asked to explain what ‘HD’ actually really means. We’re all suddenly finding ourselves in a bewildering new world of Full HD, ‘Retina’ displays, UltraHD/4K and even 8K TV screens! If your eyes glazed over a little during that last sentence, don’t worry you’re not alone. It can be tiring trying to keep up with ever changing technology these days, but it’s also far too easy to get left behind. So should your video be in HD? Absolutely, and this article will try and help to explain why. At some point you may have found yourself in an electronics shop staring at a wall of flat screen TVs. While wondering if some of the TVs would even fit in your living room, you may also ask why one 42” TV is nearly twice the price of another 42” TV. The answer may be due to newer tech, branding or a fancy sounding gimmick that looks cool on the sticker. Or the price difference might simply be down to the TV’s resolution. Resolution is the number of pixels the screen has to be able to show an image, the higher the resolution the clearer the image. Back in Ye Olde times (about 10 years ago) TVs were generally only standard definition or ‘SD.’ These only had 720 x 576 pixels to play with, well below HD resolution. 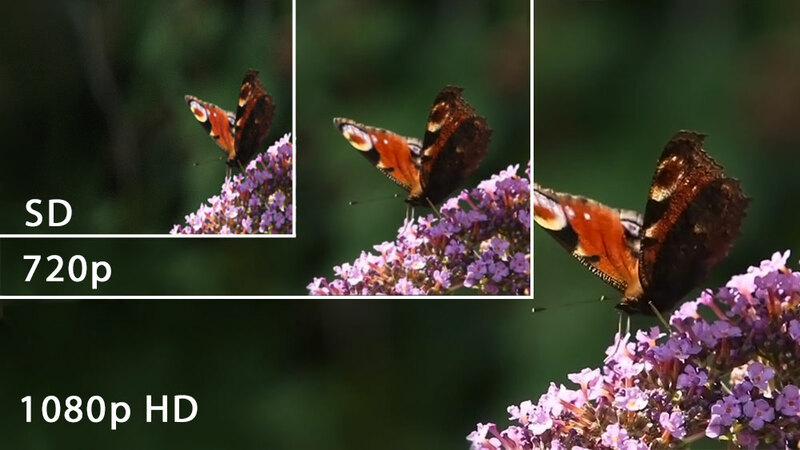 To try and put it simply, the higher resolution of HD means more detail on the screen compared to standard definition. Today you’ll be hard pressed to find a SD TV. Chances are even the screen you are looking at right now will be capable of displaying a higher resolution or HD video. So what exactly is HD video? The minimum for what many class as HD video has 1280 x 720 pixels. Then up from there is Full 1080p HD, which has 1920 x 1080 pixels. But wait, it doesn’t end there! Further up we get 2K, ‘UltraHD’ and 4K, then even higher resolutions that make old SD video look like a tiny postal stamp. To be fair in most cases right now, anything beyond 1080p HD is probably overkill for what you need. But maybe something for you to keep an eye on in the future. Still with us? Great! Now the thing is, in order for HD to actually be ‘HD’ everything involved in the delivery process needs to be HD capable. This means right from the beginning with what cameras are used, to editing, to distribution (e.g. YouTube), and finally display (TV, laptop, mobile device). If anything along that process is not HD capable the final display will also not be HD. Here at Like an Egg we now film at a minimum of 1080p HD because it delivers clean quality footage. Even if you initially only want to share your video on DVD, it’s always worth having a HD alternative for future use. DVDs have served all of us well for 15 years but – like the Ye Olde TVs they were designed for – they’re trapped in the era of standard definition. DVDs cannot playback HD video. But we’re aware that even now DVDs have a use in certain circumstances, so we can easily downscale HD footage to SD for DVD. But today as broadband is becoming faster it means that more and more people can watch videos online at optimum quality. HD videos are streamed and hosted on websites more regularly than ever before as the infrastructure is now in place to support it. So you need your video content to follow this trend. Sharing HD videos will allow viewers to see what you do with more vibrancy and clarity. A video should excite and grab the viewer’s attention, and quality high definition footage can help you to deliver this. Got any tech related questions about your videos? Feel free to get in touch.